That’s a lot of money to expect her to spend when you know she’s going to wear it like that. She tricked them with her clever rouge. 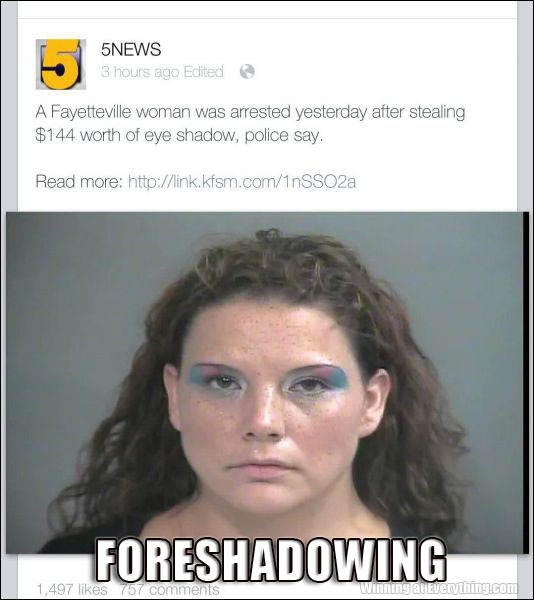 If she were a smarter thief,she would have picked up some concealer and foundation too. I’m totally like WTF! Who wears that much shadow and doesn’t bother with eyeliner or mascara?